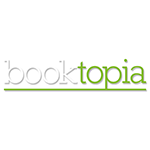 Over the past two years, Booktopia have undergone a continuous transformation journey that changes their perspectives from an ‘inside-out’ approach to an ‘outside-in’ approach. The deployment of their live chat function has accounted for one-third of all customer interactions, and currently the organisation is working towards decentralising its help centre to better anticipate and intercept when problems arise. This creates a platform for enhanced responsiveness to customer needs. Transitioning to more self-service opportunities for customers often recognises that change management is needed for both staff and customers, particularly when it comes to ensuring the best user experience and best relationships are formed despite new channels. This session will discuss strategies for your contact centres to educate customers, as well as support your staff to embrace the new digital and self-service options available.